Come celebrate the little person in your life by making a quilt for him or her. We’ll be working from the book “Fat Quarter Baby” by It’s Sew Emma, and we’ll make a different quilt each month. Some are best suited for babies or infants, while others work well for small children too. All of the quilts are quick and easy, and you’ll have them done in no time at all. Check out the samples in the store and you’ll be hooked! Come learn tips you won’t find in the book! 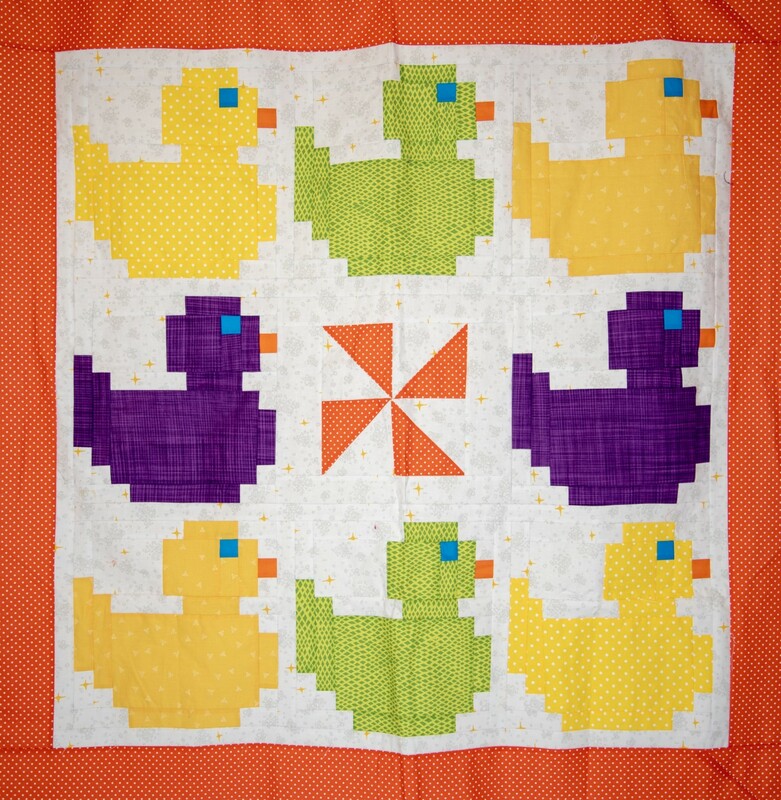 In April, we’ll make this adorable rubber ducky quilt. Make your ducks in the traditional yellow, or a rainbow array, or something else entirely different. It can be gender neutral or boy/girl specific. This is a great quilt to have on hand for those times when you need a quick baby gift.